Join 353,000 readers who get the very best of the week's news in just one hour. 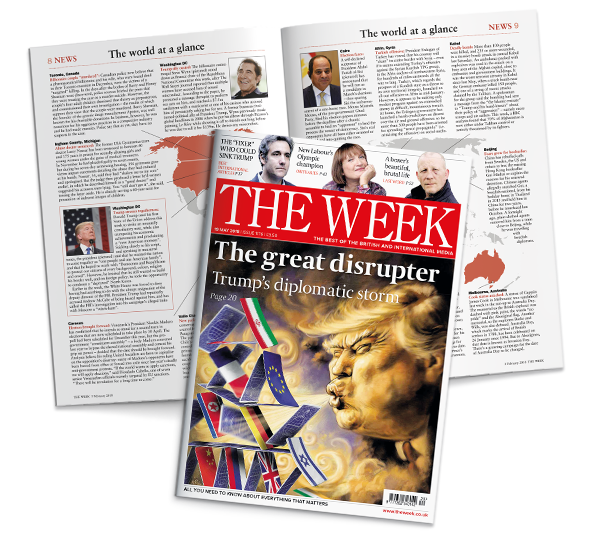 The Week magazine takes only the best news, current affairs and political articles from the UK and international media and expertly edits them together, giving you a balanced and concise view of the news from the past seven days. In just one hour, you will be brought up to date with the most important news and events, in a refreshingly succinct and witty style. As well as discovering all of the main stories, key opinions and comment, you will also get a flavour of the week’s cultural highlights, including the hottest art exhibitions, books, theatre, films, sport, people, properties, travel and recipes — and much, much more. 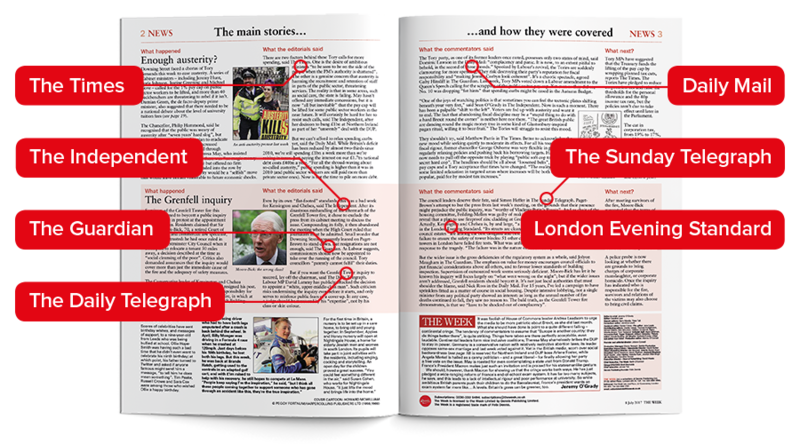 Take a sneak peek inside the latest issue, or read it in full online today (If you are a print only subscriber, call 0330 333 3434 to unlock your digital edition). See what some of our readers think. The Week is the ideal paper for those who are too lazy or too busy. I am both and proud of it. It's not just excellent and succinct, but witty too. It's the quickest way of finding out what's been happening all over the world.